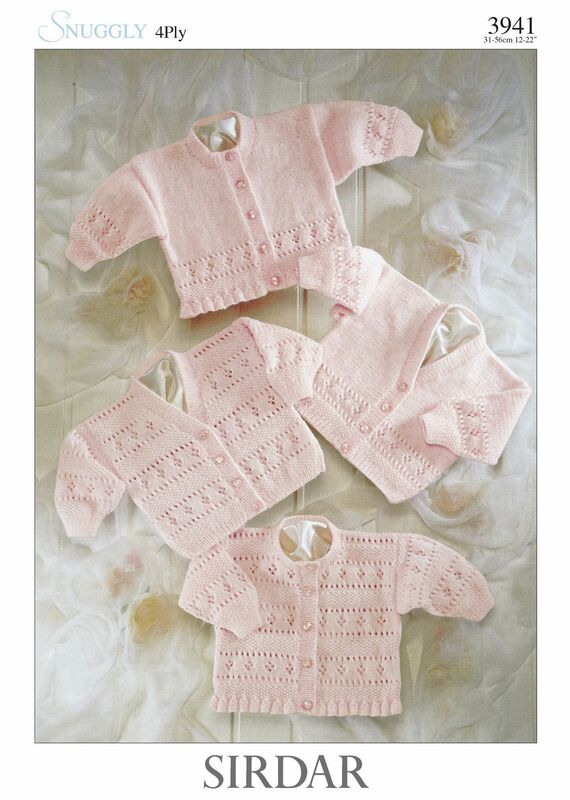 Four variations of Cardigan knitted in Snuggly 4 Ply. 2.75mm (UK12 - USA2) 80cm Circular Needle if required. Originally knitted Peach (208), which has been discontinued, please select an alternative.